MFT PI- “Pumpkin Patch Girl” Retired. Stamp set is in excellent condition. Thank you! My Favorite Things gently used Clear Cling Stamp Set. I will combine shipping, please message me prior to making payment for a combined invoice. This set is retired! A rare find. My Favorite Things: Beach Bunnies Stamp Set. Condition is used. I will combine shipping, please message me prior to making payment for a combined invoice. Illustrated by Birdie Brown aka Torico. My Favorite Things LOVE YOU FUREVER Stamps & Die-namics Steel Die Set. Condition is New. Shipped with USPS First Class Package. Gently used My Favorite Things stamp set " Toasty Greetings ". This set is retired and becoming increasingly rare. Gently used My Favorite Things stamp and die set " Strike Up the Band ". This set is retired and becoming more of a rare find. Illustrated by Birdie Brown aka Torico. 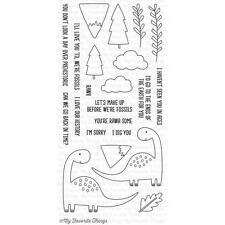 MFT My Favorite Things Clear Stamps HOME FOR THE HOLIDAYS 4 X 6. Condition is Used, not in original packaging. I will combine shipping, please message me prior to making payment for a combined invoice. Gently used My Favorite Things stamp and die set " Beast Friends ". Illustrated by Birdie Brown aka Torico. MFT Stamp & Die Set. It is an older set with some die staining on the cardboard packaging and ink staining on the stamps. I will combine shipping, please message me prior to making payment for a combined invoice. This set is retired and very rare! Illustrated by Birdie Brown aka Torico. My favorite things BB You’re Super stamp set is in used condition and from a smoke free home. Clear plastic envelope not included. Shipped with USPS First Class Package. Gently used My Favorite Things stamp and die set " Make A Wish ". Gently used My Favorite Things stamp and die set " Geek Is Chic ". This set is retired. Rare find! MFT Pure Innocence Blessed Mouse My Favorite Things Clear Stamps RETIRED. Clear plastic envelope not included. Shipped with USPS First Class Package. My Favorite Things Pure Innocence Stamp "Angel" (PI-166)-Brand New in Package! Made in the USA by My Favorite Things. Perfect for any type of crafting. My Favorite Things Sweet B D Wishes, Birdie Brown Stamp (BB-5)- Brand New! My Favorite Things P I - “Christmas Banner” Gently used. Retired. My Favorite Things Too-cute Turtles Stamp Set. Condition is New. Shipped with USPS First Class Package. Lot of 3 stamp sets - Papertrey Ink Tag It’s #11, Winnie & Walter Happy Birthday, and Impression Obsession Petite Flowers. Lightly used. I have lots of other stamp sets and dies listed. Free shipping on additional items if paid for all in one transaction. Shipping adjusts automatically at checkout. My Favorite Things "Snow Angel" Pure Innocence small clear stamp set, this is retired. my favorite things stamps Princess stamp set Retired. Condition is New. Shipped with USPS First Class Package. My favorite things background stamp never used, Gorguss girl by Santoro used and some random stamps not used. Dies that are in original package that have not used and ebossing folder. Also a collection of paper flowers. This set is retired and rare! My Favorite Things Fancy Flowers Stamps and Dies. Condition is stamps are Gently Used Once and dies are new. Shipped with USPS First Class Package. You’ll have barrels of fun with the Uncorked stamp set! Grab a bottle of vino, uncork it, and raise a glass to the Uncorked stamp set — it’s aged to perfection! My Favorite Things- clear acrylic stamps and dies. Condition is Used but great condition. Shipped with USPS First Class Package. 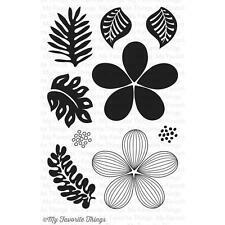 My Favorite Things Inspired By Clear Stamps ~ LOVE, MFT-IB-11686 ~ RETIRED!